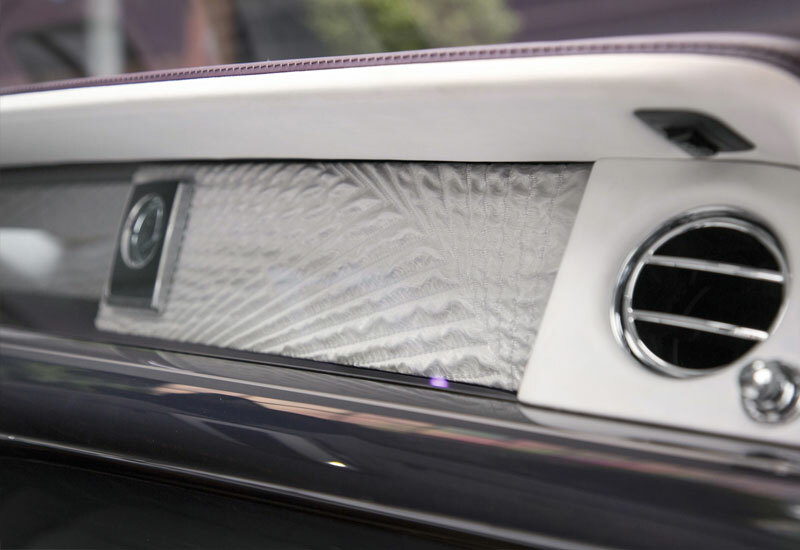 Hal Serudin of Rolls-Royce Asia Pacific unveiled it with insight on silence, art, and what the latest Phantom iteration means to the iconic legacy. 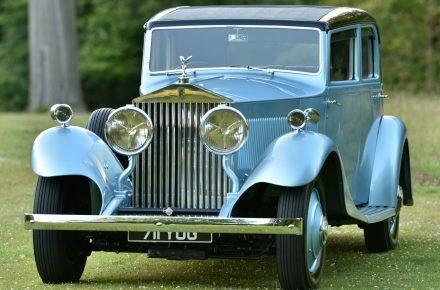 We recently got to bask in the wonder of Rolls-Royce’s latest Phantom, in its maiden local appearance since the exciting announcement. 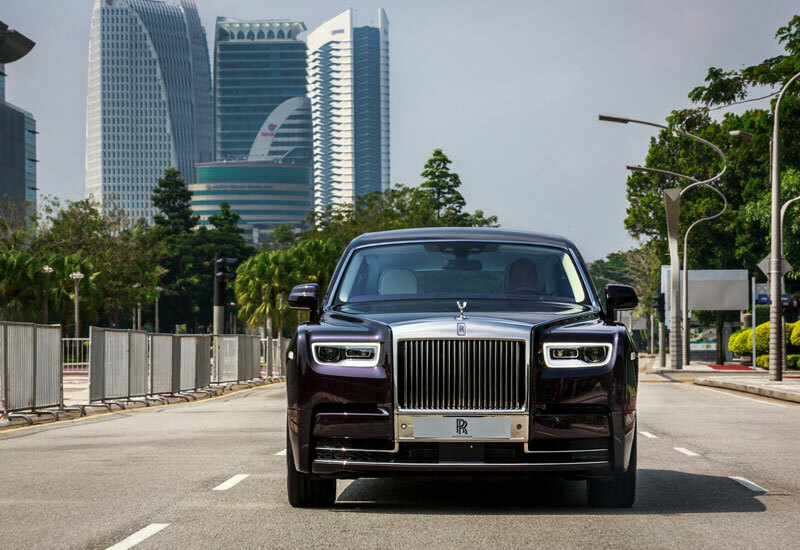 Hal Serudin, corporate communications manager for Rolls-Royce Motor Cars Asia Pacific (South) gave us the lowdown on the standout aspects of this luxury mammoth. Silence is a huge thing in this car. Tell us what went into minimising the noise and why this was an important aspect for Rolls-Royce. 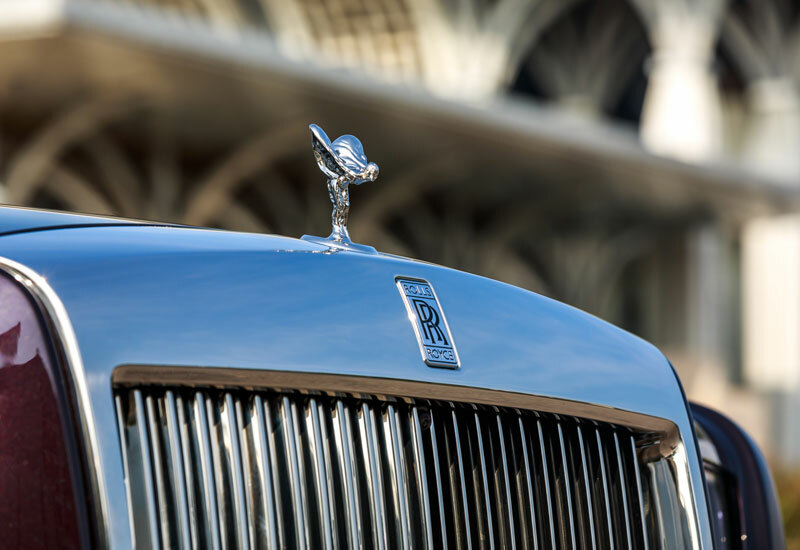 A key word in Rolls-Royce language is effortlessness. Our owners are busy people, so we want them to relax. 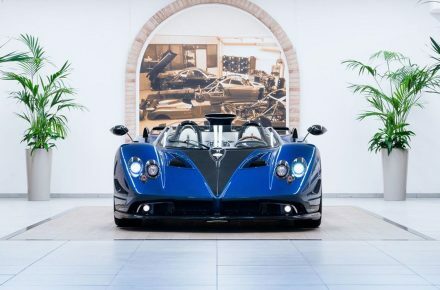 There’s a famous line, ‘The loudest thing you can hear in a Rolls-Royce is the ticking of the clock’ – but that’s not true anymore because now it’s electric, so there’s no ticking. Our engineers have said the loudest thing you’ll hear in a new Phantom is the shuffling of your hands around the steering wheel. Silence brings certain benefits. Number one, sitting with your business partner, husband, or wife… wouldn’t you want to have silence? You don’t want to raise your voice, or strain yourself. There’s an almost anechoic chamber. Some poor engineers stuck themselves in a room for a week just to listen to the headrest going up and down. So silence may have always been a priority, but art – this is the first time art is placed so prominently. What inspired this? We realised, especially in the last few years through our global art programme, that many of owners are themselves artists, or art collectors. Some people ask if we’re trying to be revolutionary or evolutionary? Well, a bit of both. You have to have this timelessness. The last car lasted 14 years and is still winning awards. This should last another 10, or even more. It’s gotta be a work of art… that’s the relationship. Did you know that the Rolls-Royce logo stays upright as the tires turn? It’s this kind of innovation that comes from art. We need to support art because, yes, material wealth, but there’s also that cultural wealth. 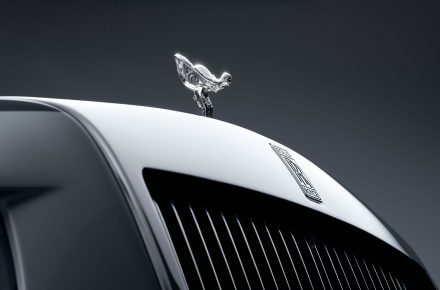 Rolls-Royce’s relationship with art traces back to its Spirit of Ecstasy icon, sculpted by Charles Sykes in early 1900s. 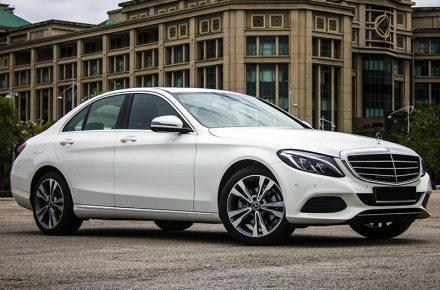 Tell us about the features that have been enhanced to make this car more in tune with the driver. The last generation Phantom didn’t have as much driver assistance technology. 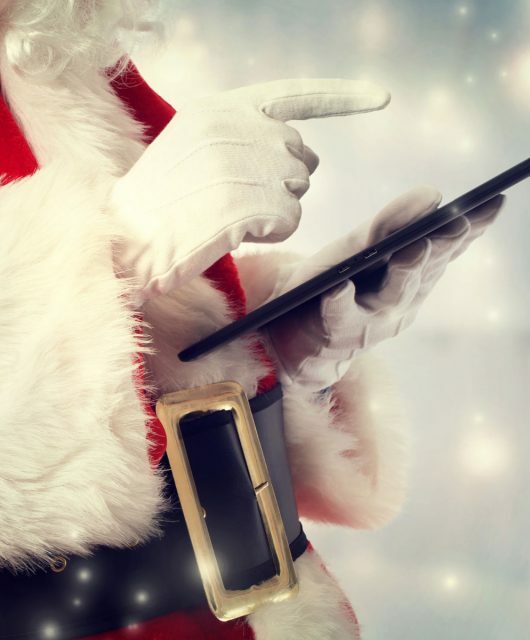 Now it’s got alertness assistance – if you start nodding off to sleep, it’s gonna wake you. It’s got four-camera assistance that spots bumps on the road, getting the suspension to react and basically cancel out those bumps, contributing to this new Magic Carpet Ride. There’s also the head-up display, something we’ve not had before with Phantom, which gives you all the information about road speed, navigation, and more on the windscreen. There’s infrared night vision, with body-heat sensing pedestrian warnings. 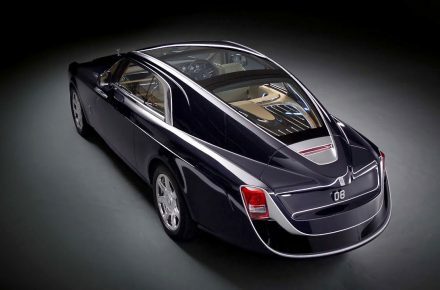 This is also the first Rolls-Royce with four-wheel steering, for U-turns at low speed, or smooth, gliding lane changes. This is one of the first times we’re seeing this sort of driver assistance technology that on such a large car. We were surprised at how bold and in-your-face it is compared to pictures! You have to be pretty bold to buy this sort of car. The Phantom’s presence is part of its appeal. For certain cultures, that really would work, but other cultures may be a little more discreet and less accepting. On that note, how has reception been in Malaysia? Dato Michael Ong Leong (managing director of Rolls-Royce Motor Cars Kuala Lumpur) has gotten some firm expressions of interest. 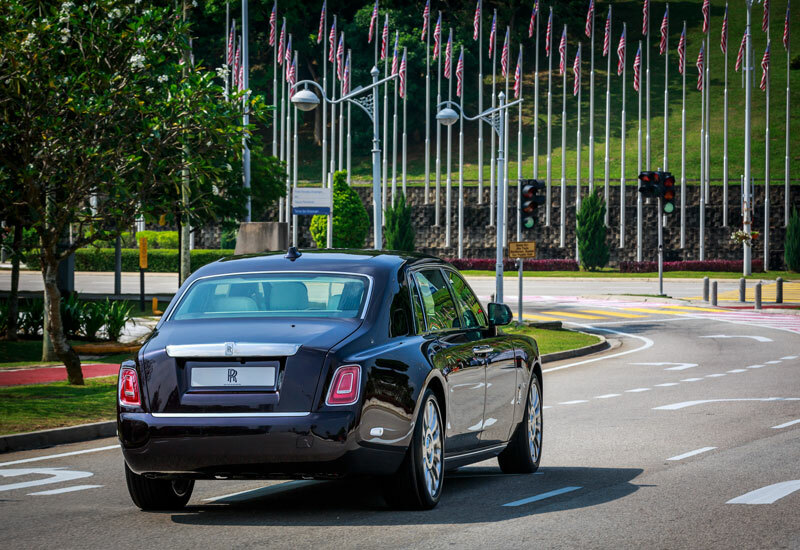 Believe it or not, you have some of the most bespoke Rolls-Royces in the world in Malaysia. You can have everything from your wife’s favourite shade of lipstick; a Malaysian customer has requested to have the colour of his car match his kain songket. Let me tell you, it was quite a bright colour. 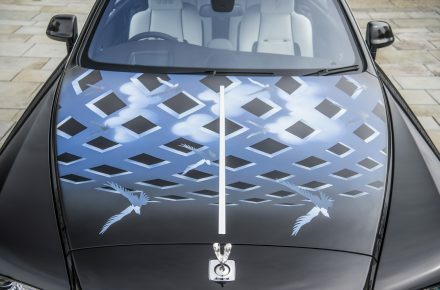 Would you call this the most highly-customisable Rolls-Royce? 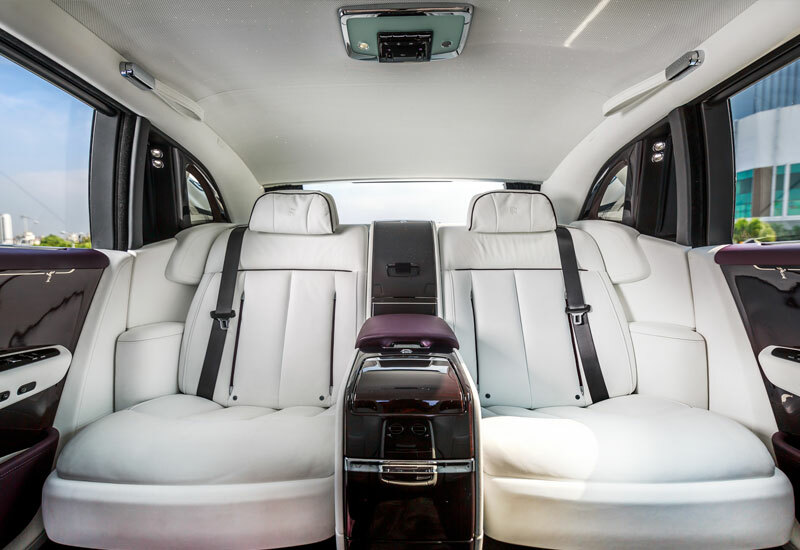 It is what we call the grand canvas for bespoke, simply because it has a very large interior, largest of any car. What are some of the most memorable customisations you’ve come across? In a particular project for this Japanese gentleman who doesn’t drink alcohol, we realised that the Coke cans in Japan were smaller (it’s more available now than before, but this was some time back). They had to fly the Coke can all the way to England and measure it to fit in the cup holder. That’s how it is with Rolls-Royce. 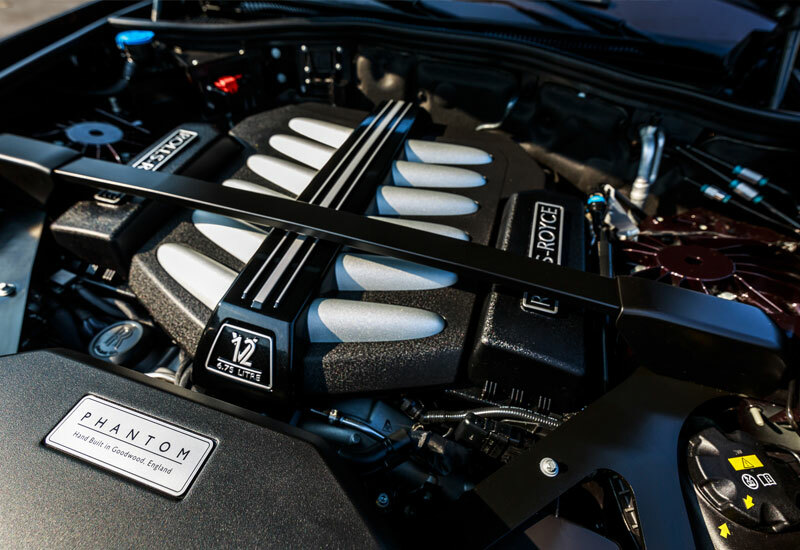 Rolls-Royce are segment pioneers when it comes to luxury automobiles. 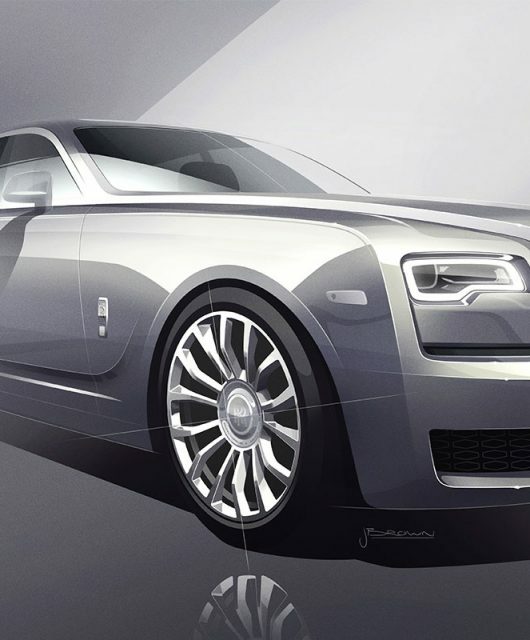 What does automotive luxury means to Rolls-Royce today, and how are you trying to express it? When we first started trying to conceive what it was gonna be, our designers sat in a secret studio in London and watched the movements of very powerful working people to observe what they wanted.  In terms of luxury, we believe it’s gotta be totally exclusive. 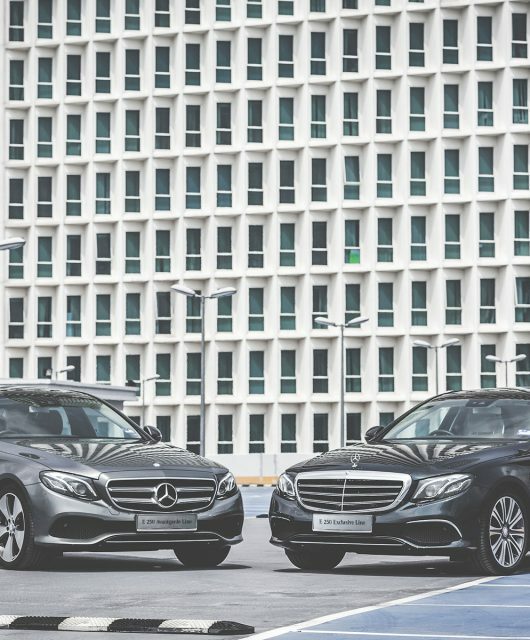 You would not want to see a Phantom in every street down in Bangsar – that’s no longer special. Secondly, it’s gotta be bespoke. When I first started out, the bespoke team was small. I went touring with them. Then people started to get an idea of what was happening and suddenly more and more customers came around voicing their preferences. 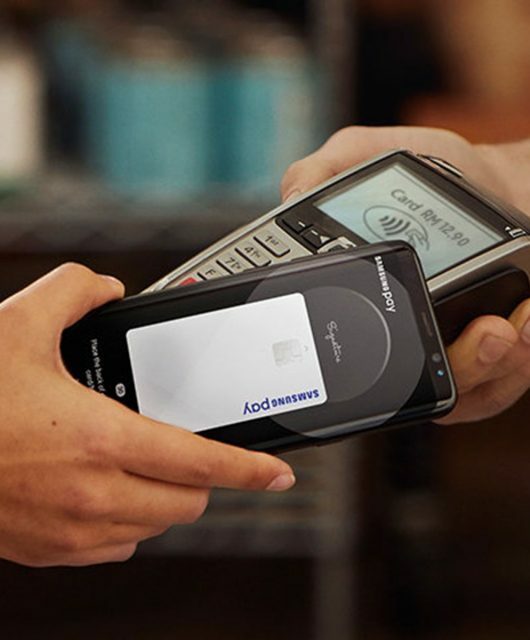 One of the things we do best is understand the customer well. When we did luggage space, for example, we had to understand what the customer’s habits are like. So we talked to concierges, even customers themselves, and realised they have separate bags for jewellery and clothes, or they don’t pack their own clothes. Then we modeled things around it. It’s not just about cars; there’s an elevation from automation. That’s given – people expect to have a powerful four-wheel car. The New Phantom is the most techologically-advanced Rolls-Royce with Alertness Assistant, 4-camera system, Active Cruise Control, pedestrian warning, and more. Rear seats are angled in a way that allows occupants to face each other easily. 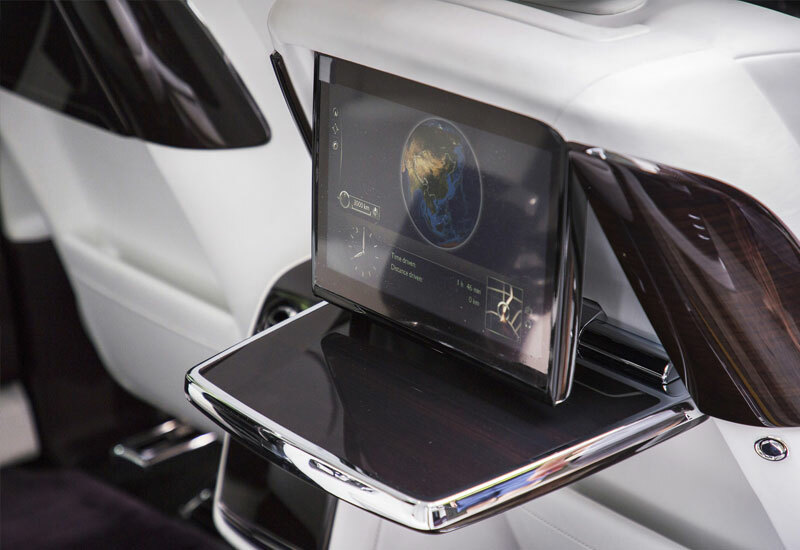 Not your regular dashboard,The Gallery displays commissioned art pieces in a contemporary interpretation of function. 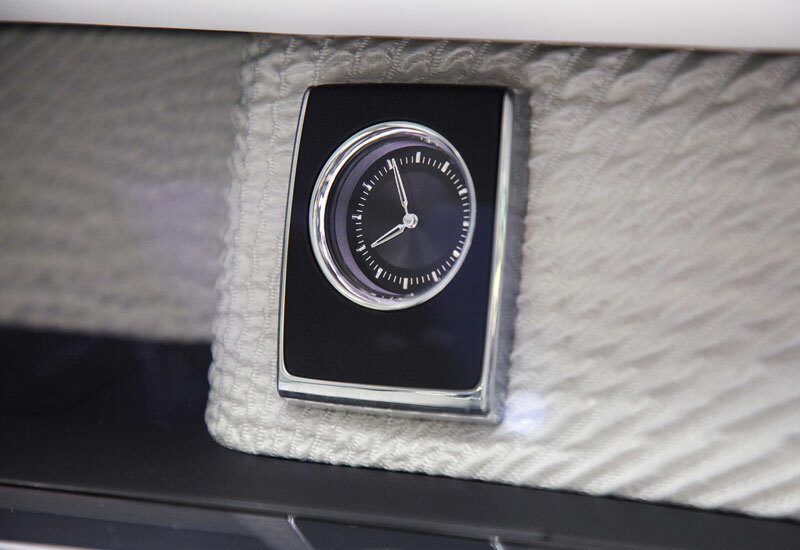 The only sound you'll hear in the world's most silent car (besides the shuffling of your own hands against the steering wheel) is the ticking of this analogue clock. 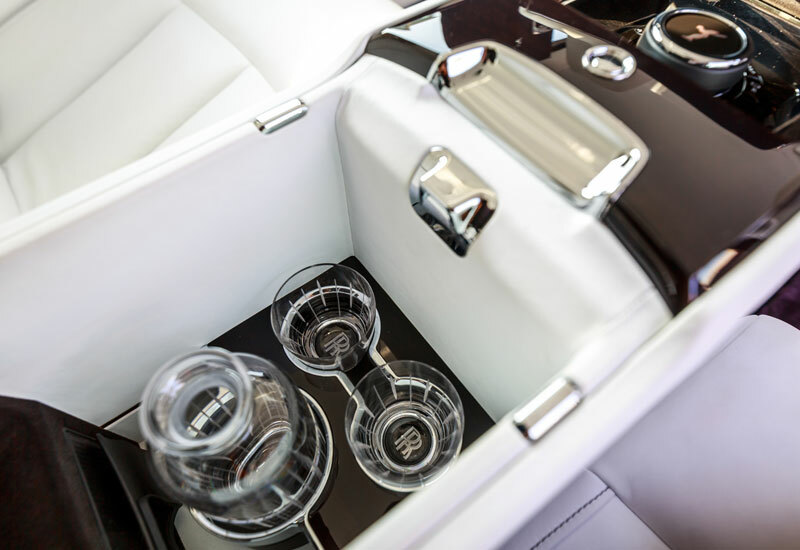 Nothing tops luxury like your personal decanter appearing at a push of a button, complemented by a coolbox and champagne flutes. At the back, theater monitors and picnic tables are also electrically deployed at the touch of a button. Phantom Standard Wheelbase starts from RM 2.2 million (before taxes), while the Phantom Extended Wheelbase from RM2.5 million (before taxes). 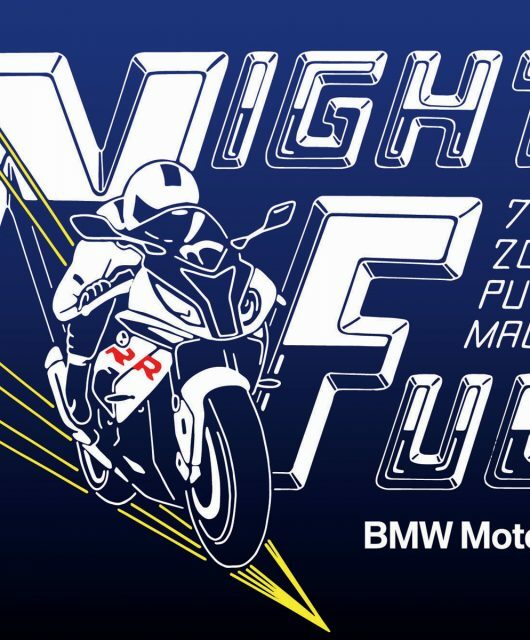 Both are inclusive of four-year warranty service package and regional warranty, 24-hour roadside support and a ‘flying doctor’ after-sales team. 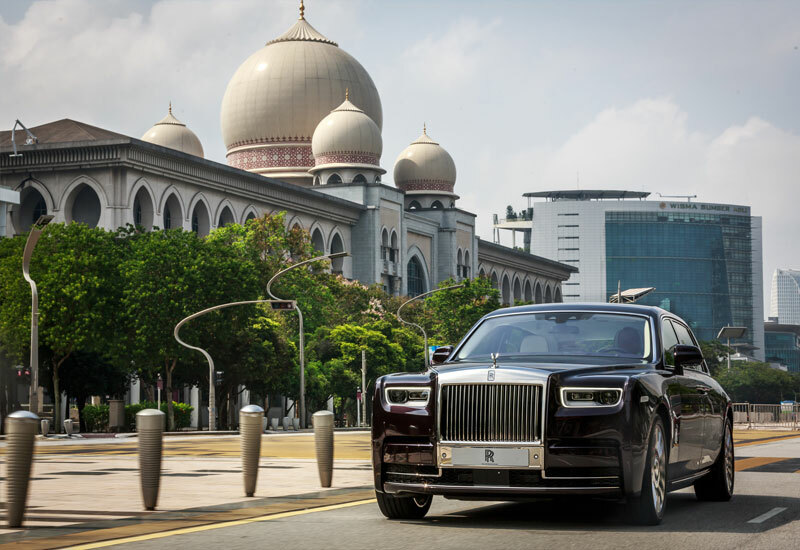 Rolls-Royce Motor Cars Kuala Lumpur carries the full brand’s full range: New Phantom, Ghost Series II, Wraith and Dawn. Visit the official site or Quill 9 dealership for more.